PRODUCT DESCRIPTION: Light cloth zippered suit which is tightly wove making it sting proof. 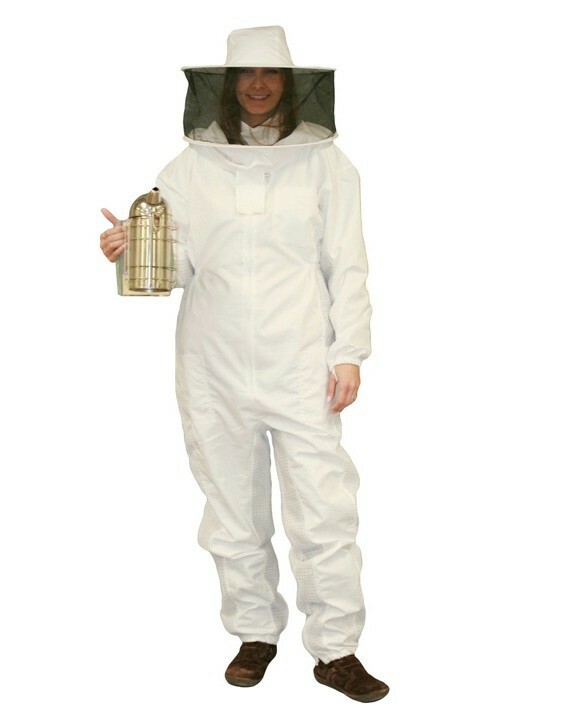 Wear it when working around or on any type of bee or hornet nest and you won't have to get stung. It is designed to fit over clothing so you probably want to order it a size larger than what you normally wear. This suit comes with a round bee veil so the only related item you may need would be a pair of BEE GLOVES or a BEE HAT.